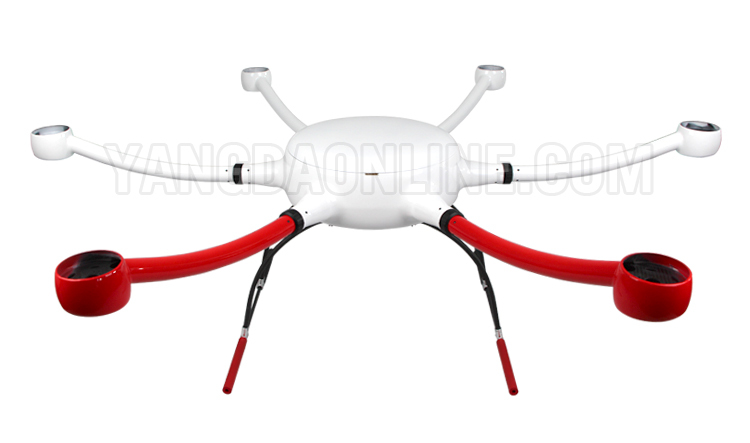 YD6-1600L hexacopter frame is a multifunctional heavy-lift flight platform. Its one-time forming carbon fiber technology reduces weight while still keep the stiffness, which makes it stronger and lighter for long flight time. 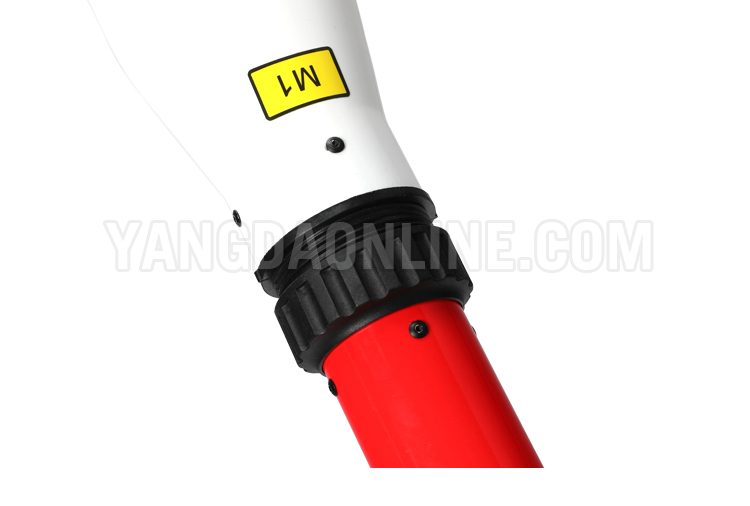 YD6-1600L arm connector is using special compound material: industrial plastic with glass fiber. 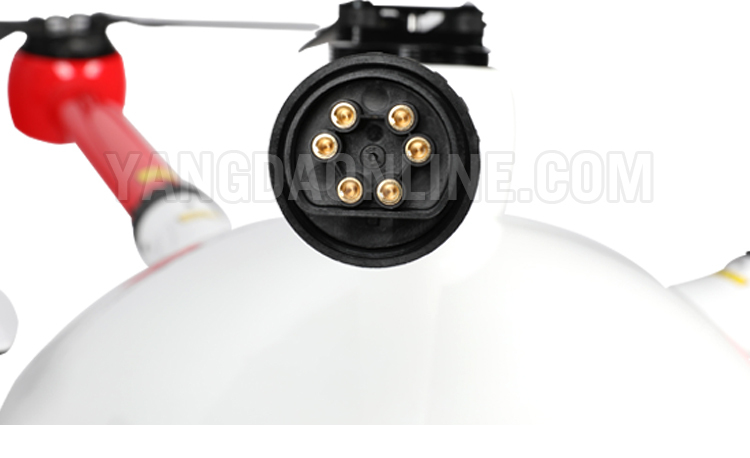 This compound material features high strength and flexibility, which can stand high-frequency vibration created by the motors in the air. 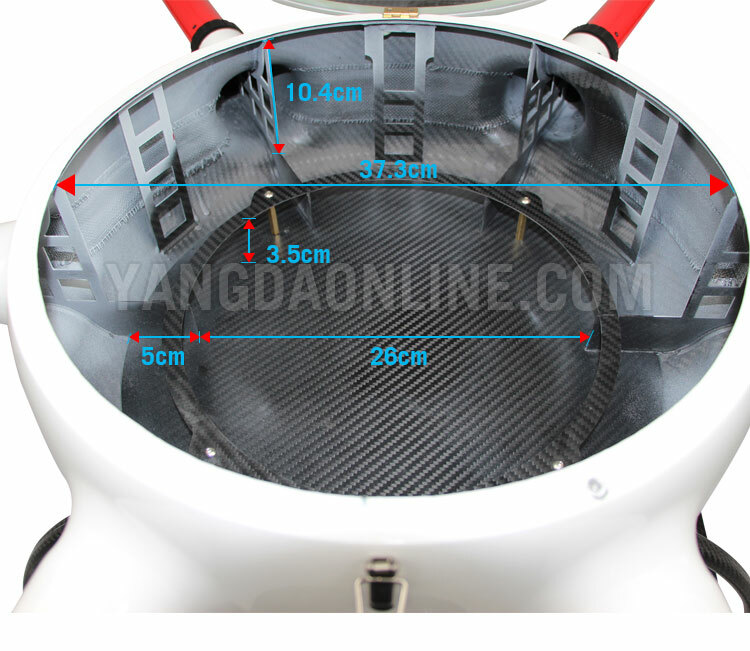 Furthermore, with a glass fiber canopy, the GPS signal will not be blocked. 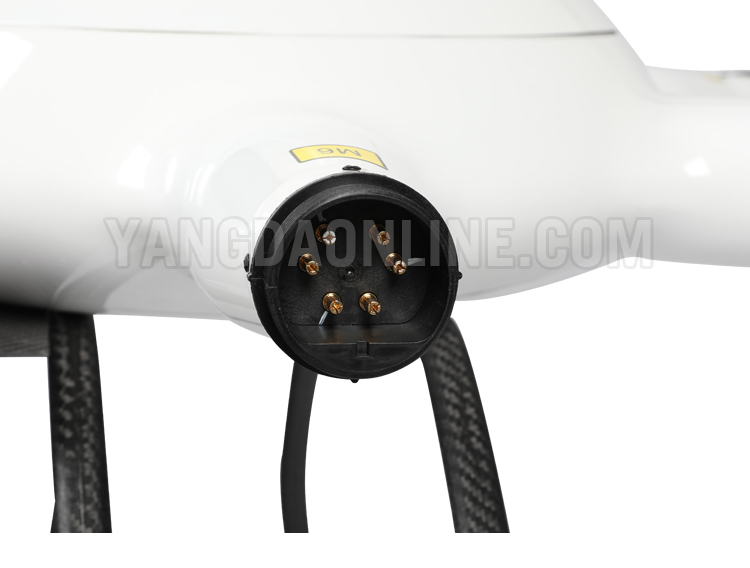 Frame arm of YD6-1600L is detachable, which will enable you to finish the drone setup in 5 minutes. Furthermore, if the arm is broken during a flight crash, you will just need to replace it with a new one, which will greatly save your maintenance cost and time. 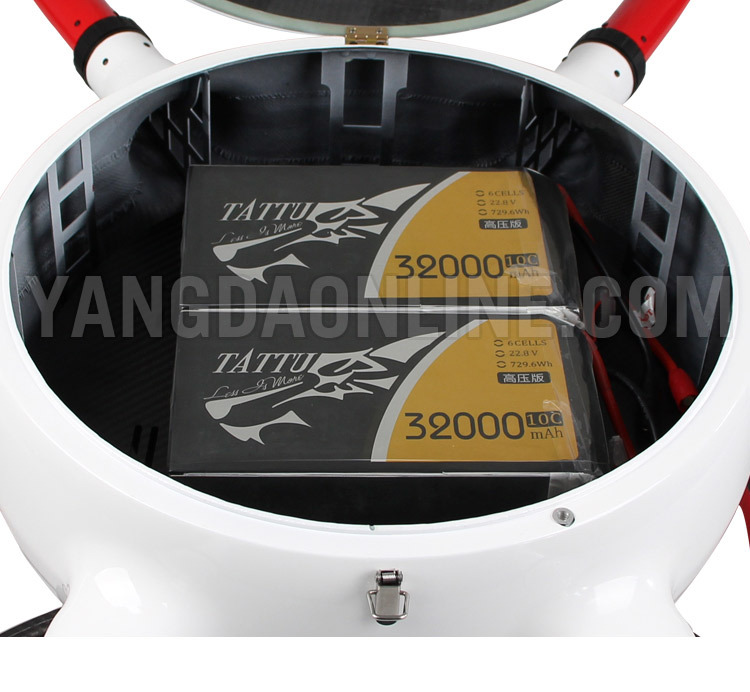 Equipped with the 29inch propeller, KV85 U8 Lite motor, 2 units 6S 32000mah HV lipo battery, the YD6-1600L frame is able to fly 61 minutes with 2KG payload, 47 minutes with 5KG payload. 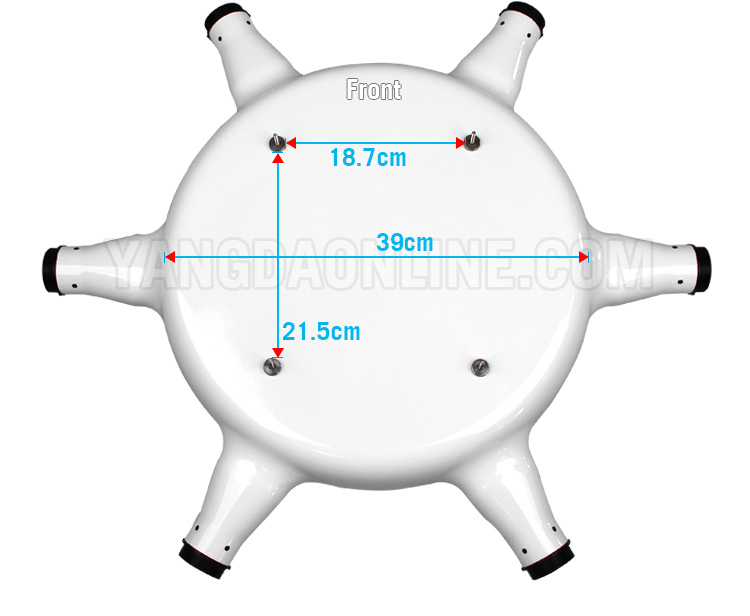 YD6-1600L comes with big size center frame, which is able to accommodate more devices. 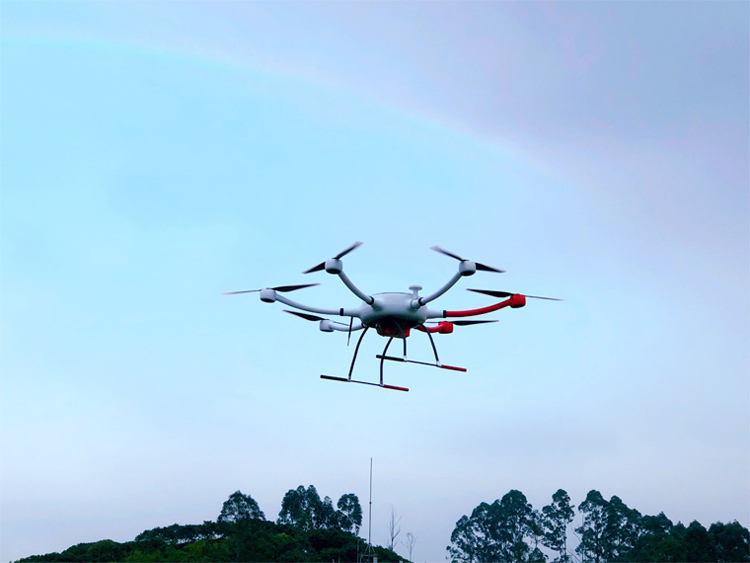 So it becomes an ideal flight platform for your drone customization. Compared to YD6-1600S frame, YD6-1600L frame has bigger center body, which will enable it to accommodate more electronic devices like various sensors, and bigger capacity batteries.